A typical Friday probably consists of getting up and going to work, heading home afterward and later venturing out with some friends or watching TV. But these guys have a completely different agenda in mind: run all the way to Canada and back in under 48 hours. “It started kind of as having one last ‘hurrah’ with guys stationed together, but it quickly turned into something more,” said Randy Kitzmiller, special agent with the Air Force Office of Special Investigations at Grand Forks Air Force Base, N.D. The team — four active-duty, one reserve, one Guard and one retiree from the Air Force — is running the 180-mile round trip route June 14-16 from Grand Forks to the border at Gretna, Manitoba, Canada, and back to raise money for Team Fisher House, a non-profit, fundraising program part of the Fisher House Foundation. Team Fisher House focuses on helping military families during hospitalization for unexpected injury or illness. “We realized we should make this a cause to run, not just for us, and it quickly morphed into helping this charity that gives overwhelming support to families who need it,” Kitzmiller said. 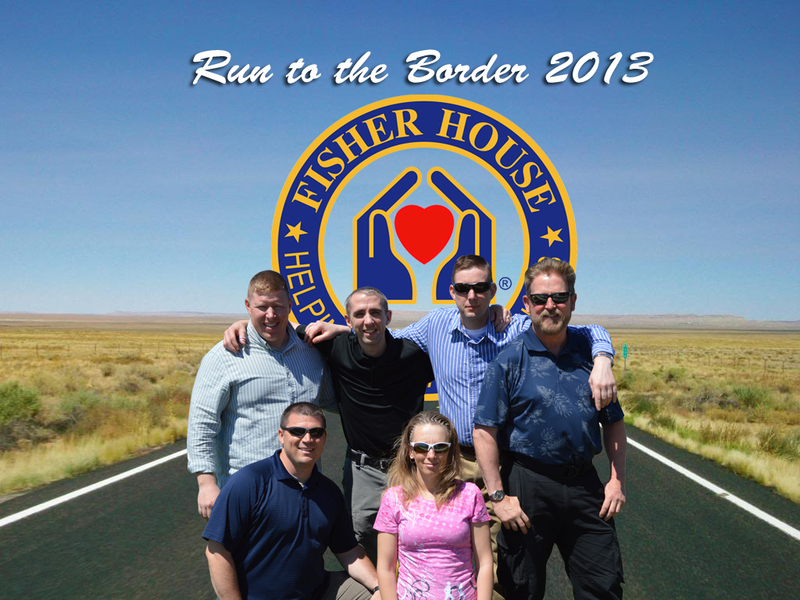 The team has raised more than $3,600 in donations by putting up flyers in the local community and advertising through their Facebook page “Run to the Border,” which links to Team Fisher House. “Each person will run or walk 25 miles total, kind of like a relay-style run, taking turns” Kitzmiller said. One runner will be on the road at a time, with the rest of the group waiting to jump in. A motor home donated by Outlet Recreation of West Fargo, N.D., will be a moving headquarters and a place for runners to rest and rejuvenate before his or her turn. “We’ll be using it as a ‘hotspot’ to live stream our own photos and videos, and if we can, a map updated in real-time,” Kitzmiller said. Scheel’s Sporting Goods of Grand Forks has also agreed to provide power bars and energy drinks to support the team. First Command Financial from Minot, N.D. is another confirmed sponsor. Their goal is to raise $5,000. To donate, visit the team’s page at http://www.airforcetimes.com/fisher-house.